Recently I instagram'd a picture of our summer chore chart. I didn't think much of it, but I had lots of people ask me to share more info, so here it is! 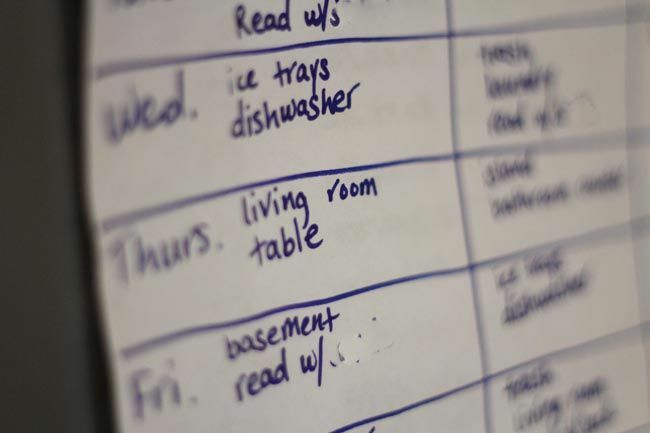 We update our chore chart once or twice a year, to keep things fresh. I sat down with the kids and asked which chores from the last round they didn't mind, and which ones they hated. I tried to avoid giving them ones they just hated. I also asked, "What are some things I ask you to do often?" They said, "You're always asking someone to clean off the kitchen island and fill the ice trays." So we added those into the summer chore chart. I made three columns down the page, with each child's name at the top. Then I made seven rows across, with each day of the week. 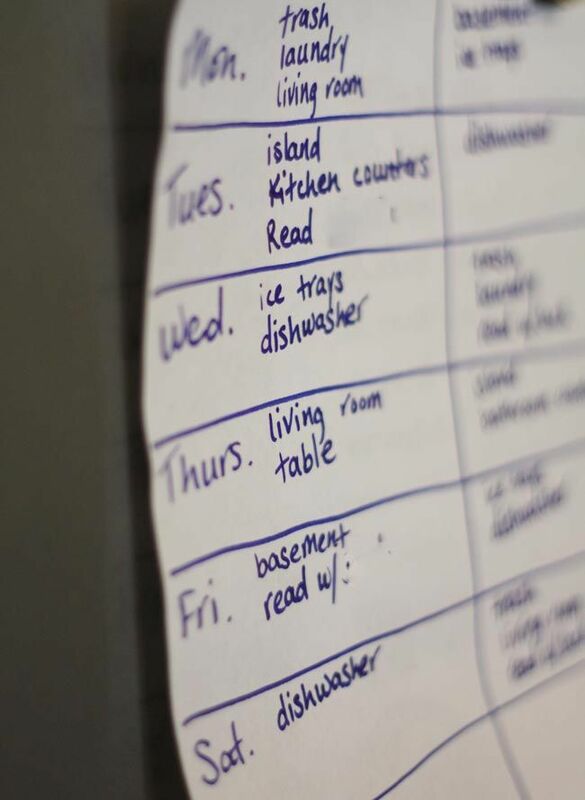 I had a list of chores, and just started filling in the blanks. Some days they have 2 or 3, some days only 1, and they each have a day off. read w/The Baby - fresh out of Kindergarten, I didn't want him to go too long without reading. So each of the big kids have that as a chore, and I do it on the off days as well. Summertime tends to be lazy and I knew this could get overlooked. basement - We have a play room and tv room down there. It constantly needs picked up. kitchen counters - I wash all the pots and pans by hand, then drain them on the counter, so there's usually a small stack to be put away. stairs - the stairs to the upstairs tend to get junked up with shoes/toys/clothes so The Baby cleans them off. boxes - being in the country, we don't have recycling. So a couple times a week we take all the boxes from packaging supplies, cereal, etc. out to our burn bin. Then... If everyone keeps up on their chores all week we have a Summer tradition - Milkshake Mondays! 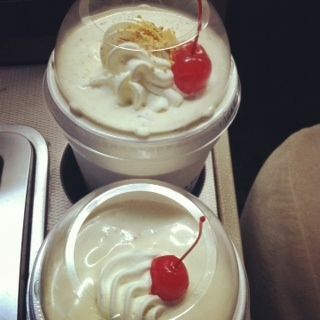 Every night after 8pm Sonic has 1/2 price milkshakes. We go each Monday for our Milkshake Monday reward for keeping up on chores, as a way to have family time and kick off a new week. 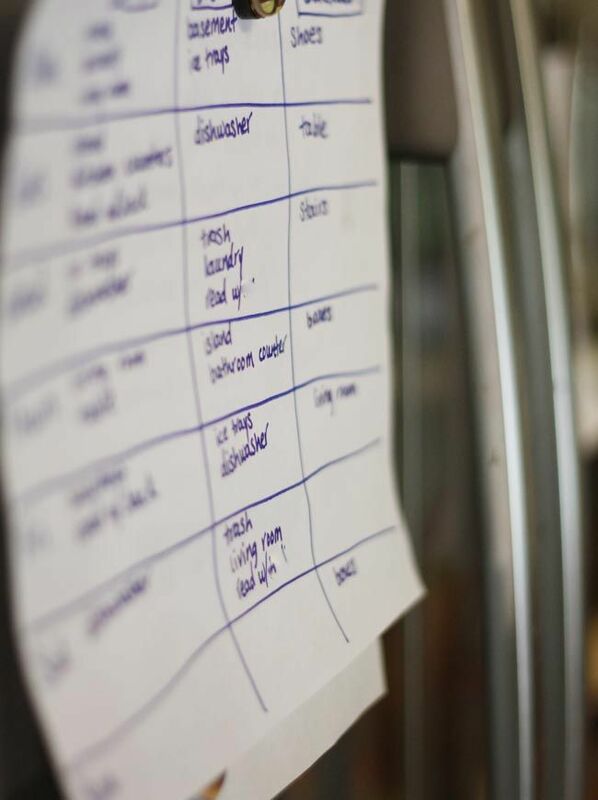 Do you have little ways of keeping your home running smoothly? Sounds good - hope it works well! If you WANT to recycle (to cut down on your burn pile, glass, etc. ), Goessel has bins behind the city building that anyone (not just city residents) can use. They request a $10/month contribution to cover the bin cost. Between this and the compost pile/chickens, our trash is less than 1/4 what it used to be. And it is SINGLE SOURCE - so NO sorting. I just have a trash can and a recycle can in the kitchen. Anyway, just wanted to tell you in case you wanted to do it. Have a good summer! Milkshake Monday sounds like a good reward for faithful service! :) I am glad you have found a system that works for you, and that keeps the kiddos motivated to help. I hope you all will enjoy your summer!